Ed Reynolds is a ball hawking free safety that was a 3rd team All-American and 1st team All-PAC 12 selection in 2012. He tied for #2 in the PAC-12 and 5th nationally with 6 interceptions. His 301 yards in interception returns were one yard short of an NCAA record and 3 of his picks were returned for touchdowns. He is best as a single-high safety, reading his keys then quickly closing on the ball. Reynolds has great vision and is a reliable open field tackler. In pursuit, he always takes the proper angle. He is an aggressive run defender, which at times can overrun a play and get beaten by cutback moves. Reynolds ability to come up with big plays should make him the first safety taken in April. Funny name, good safety. He started 10 games in 2012 and his 5 interceptions tied for the lead in the SEC. Clinton-Dix is a big hitter that does a good job knocking the ball loose from receivers. He has the ability to play free safety and can cover a lot of ground as a center fielder, but can also play in the box. As a deep safety, he does a good job reading routes and closing on the ball. He sometimes gets burned by going for the big play, but his ball skills will make him a hot commodity in April. 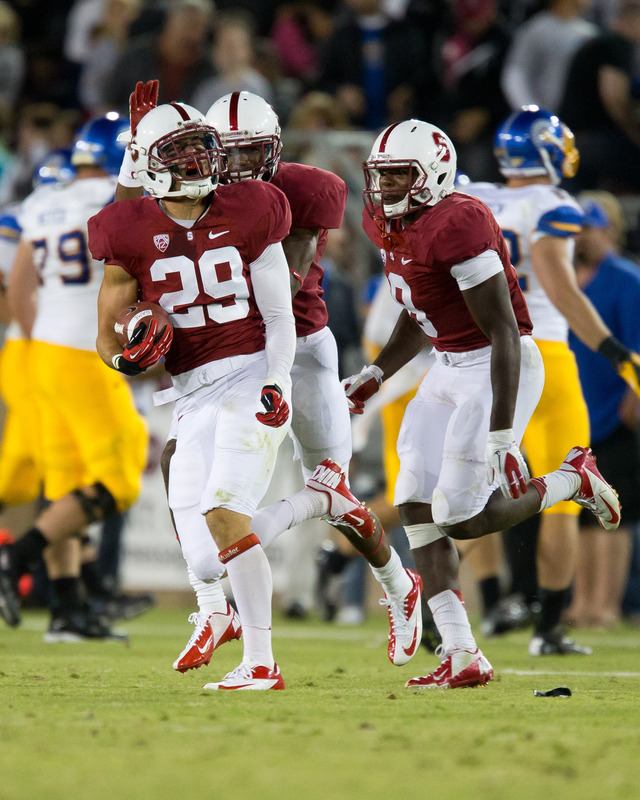 Stanford likely has the best safety tandem in the country. While Ed Reynolds plays the free safety for the Cardinal, Jordan Richards plays the strong safety position. He is a very smart player that led the team with 15 passes defended and had 3 interceptions. Richards plays behind an aggressive front seven, so he can take advantage of the havoc created up front and then make plays and clean up anything that gets behind them. He isn’t flashy, but he is very effective at what he does. Craig Loston started 12 games for LSU at strong safety in 2012 and he was a 2nd team All-SEC selection. Last year he teamed with Eric Reid to give the Tigers the top safety tandem in the country. Loston is a hard hitter that is extremely knowledgeable of the Tiger’s defensive scheme. His football IQ allows him to recognize plays and he usually knows where the ball is going before it gets there. With the Tigers losing Reid and Tharold Simon, he will be asked to be the leader of the secondary. While Reid was there, Loston was allowed to attack everything underneath. Loston is a very good open-field tackler, but he needs to work on wrapping up the ball carrier. At times he goes for the big hit and misses tackles; however I believe his skill set will make him an intriguing prospect for the 2014 draft. Ty Zimmerman was a 2010 Freshman All-American, honorable mention All-Big 12 in 2011 and 3rd team All-American in 2012. He is an experienced defender that is the leader of the Wildcat secondary. He has great technique and is a hard hitter that times his hits well to avoid flags. Zimmerman had a streak of 35 straight starts broken when he missed two games at the end of the year with a lower leg injury. He was able to return for the Fiesta Bowl against Oregon. Zimmerman had 5 interceptions which ranked him #3 in the Big-12 and 10th nationally. He is an aggressive player that shows a great love for the game. Zimmerman isn’t the most athletic safety, but he’s a guy that some NFL team will have to find a spot for on their roster. This entry was posted on August 28, 2013 by draftmaniacs in Top 5 at each position and tagged 2014 NFL draft, Alabama football, Craig Loston, Crimson Tide football, Ed Reynolds, Ha Ha Clinton-Dix, Jordan Richards, Kansas State football, LSU football, NFL, NFL Draft, Stanford football, Ty Zimmerman, Wildcat football.